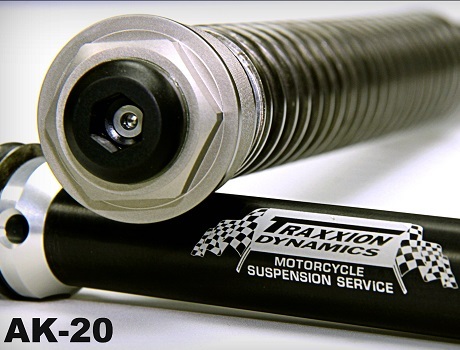 We have our AK-20 Axxion Cartridge Kits available for most modern Sport, Sport Touring, Touring, and Cruiser motorcycles. Please use the search feature to find specific applications for your motorcycle. If you do not see your motorcycle listed just contact us. If we do not have an application more than likely we can make one. We will simply need the forks to be sent in to us so we can spec the fork. In exchange for the spec we will give you a free service and install, $225 value. Prices for the AK-20 Axxion Cartridge Kit range from $999.95 to $1099.95. 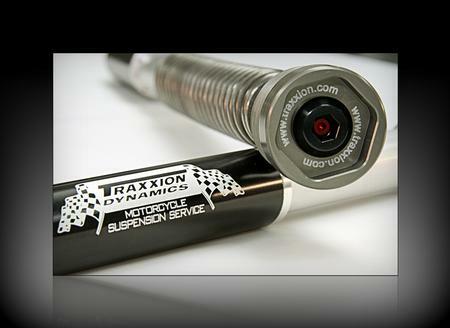 Some applications come with a new set of Traxxion fork caps hence the additional charge. Our 20mm cartridge tubes are bored and honed to .0005. The 12.5mm cartridge rods are centerless ground to .0005. No other suspension unit is held to these exacting standards. Our unique bearing design helps seal the cartridge to improve low speed damping and increase damping response time, and virtually eliminates stiction. The components are then hard-coat anodized to prevent oxidation and wear contamination of the fork fluid. All of this leads to a cartridge that performs beyond any customers expectation. As an added bonus, the kit is completely modular in construction, and can be retrofitted to future bikes you may buy. 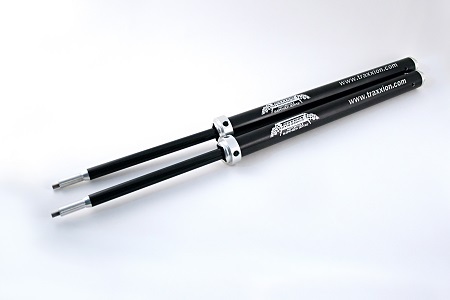 Included in the kit is one set of AK-20 Axxion Cartridges, one set of our proprietary Omni Springs matched to the riders weight and riding preferences, one quart of racing quality fork fluid, and step by step instructions on installing the kit. 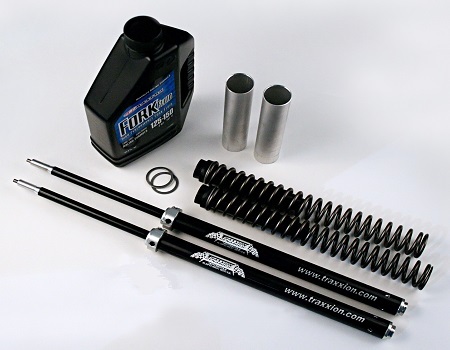 A few special tools are needed to install the kit and we have prepared an inexpensive Tool Kit that has everything you need to install your AK-20 Axxion Cartridge Kit and service your forks when needed. If you are not comfortable installing the kit yourself, just send your forks in and we will install it for. Our common turn around is less than one business week, so you wont be off the road for long! 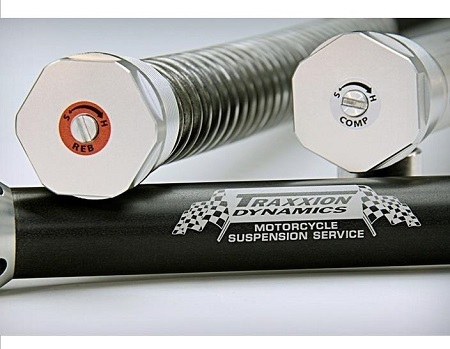 Some bikes do not come with external preload, and rebound damping adjustment. We have made a special kit for those models, with a beautiful set of replacement fork caps with these features added in. The caps are an additional cost to the AK-20 total cost. Some popular bikes that get this added feature are: Suzuki SV650 (all year models), Honda VFRs (optional), and Triumph Thruxton. We can also custom make these parts for other models of bikes upon request.